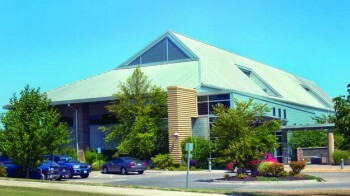 Truman Medical Centers is a not-for-profit, two acute-care hospital health system. TMC Hospital Hill is a busy, urban hospital recognized for chronic disease management, women’s health and emergency medicine. It is the busiest Adult Level 1 Trauma Center in Kansas City with its emergency department averaging nearly 70,000 visits annually. 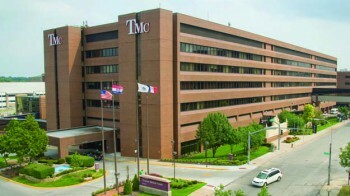 TMC Lakewood, located in Eastern Jackson County, is the setting for the UMKC School of Medicine Department of Community and Family Medicine. With 103 patient care beds and 188 long-term care beds in the Lakewood Care Center, TMC Lakewood is known for providing comprehensive health care to a diverse patient population. 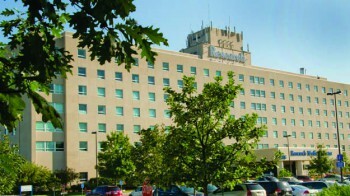 Saint Luke’s Hospital of Kansas City has served the health care needs of a growing Kansas City for more than 130 years. 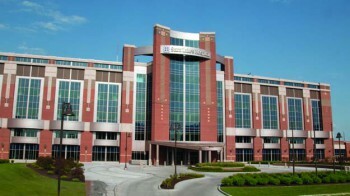 Saint Luke’s has established specialized clinical services including a Level 1 Trauma Center, Level 3B Neonatal Intensive Care Unit, comprehensive cardiac treatment at Mid America Heart Institute, Women’s Services, Pain Management Center, Cancer Institute, Regional Arthritis Center, Sexual Assault Treatment Center, Children’s S.P.O.T. (speech, physical and occupational therapy program), kidney and heart transplantation programs, and Saint Luke’s Neuroscience Institute. Children’s Mercy Kansas City is one of the country’s leading free-standing independent pediatric medical centers with 319 licensed beds, more than 40 pediatric subspecialty clinics, a Level 3C intensive care nursery and the only Level 1 pediatric trauma center between St. Louis and Denver. The hospital’s faculty of more than 400 pediatric subspecialists is one of the largest in the country and is actively involved in clinical care, pediatric research, and educating the next generation of pediatric specialists. The hospital’s leadership in personalized medicine and genomics is driving research and innovation here and around the world in areas such as cancer treatment, heart care and neonatology, and helping to redefine pediatric medicine, one child at a time. Center for Behavioral Medicine, formerly Western Missouri Mental Health Center, is an agency for the Missouri Department of Mental Health. 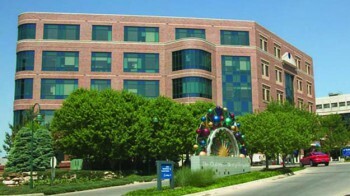 Located on Hospital Hill, the Center, along with Truman Medical Center, serves as the UMKC Department of Psychiatry. Students, residents and post-doctoral fellows are trained to deliver integrated physical and behavioral health care. The Center offers intensive, specialized behavioral health treatments and services for individuals who require extended treatment after a short-term hospital stay at another inpatient setting. 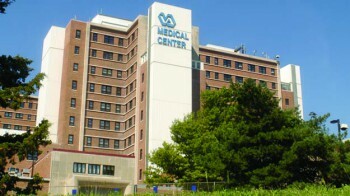 The Kansas City Veterans Affairs Medical Center is a patient-centered health care system with a 152-bed referral hospital and annex, six community-based outpatient clinics, and a mobile medical unit. The Kansas City VA, one of eight medical centers in the VA Heartland Network, is a growing health care system with focused outreach to rural veterans. The Kansas City VA provides education and training to health care professionals and performs research that benefits veterans. Residency training is offered in all major medical and surgical specialties and subspecialties. Training is also offered in nursing, psychology, audiology, social work, dietetics, pharmacy, chaplaincy, health care administration and optometry. Founded more than 125 years ago, Research Medical Center has become one of the crown jewels in the HCA Midwest Health System. 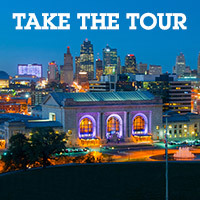 Research Medical Center is among the only tertiary care centers serving Kansas City proper. Over the past century, the institution has built a tradition of serving residents in Kansas City and a 150-mile surrounding region with exceptional patient care and leading technology. The 590-bed facility features a broad range of highly specialized, state-of-the-art services as well as being a Level 1 Trauma Center. Research Medical Center has completed more than $120 million in capital improvements, including new lobby and admitting areas, renovated and expanded Cancer Center and Women’s Care Unit, construction of all private patient rooms and doubling the Emergency Department.